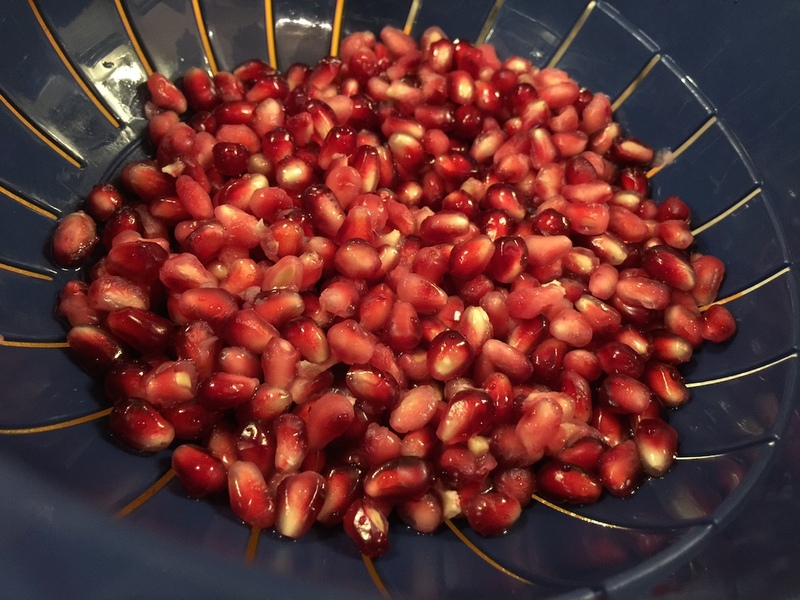 Pomegranates are in season, and they’re one of my favorite fruits. Little bit of trivia: did you know that pomegranate is the base flavor used in grenadine? Not cherry. Which may not seem like that big of a deal to most of you, but growing up my brother, cousin, and I were all about the Shirley Temples, and Roy Rogers. We used to feel so fly drinking our sodas with grenadine and maraschino cherries. So for years I had assumed grenadine was a cherry syrup. 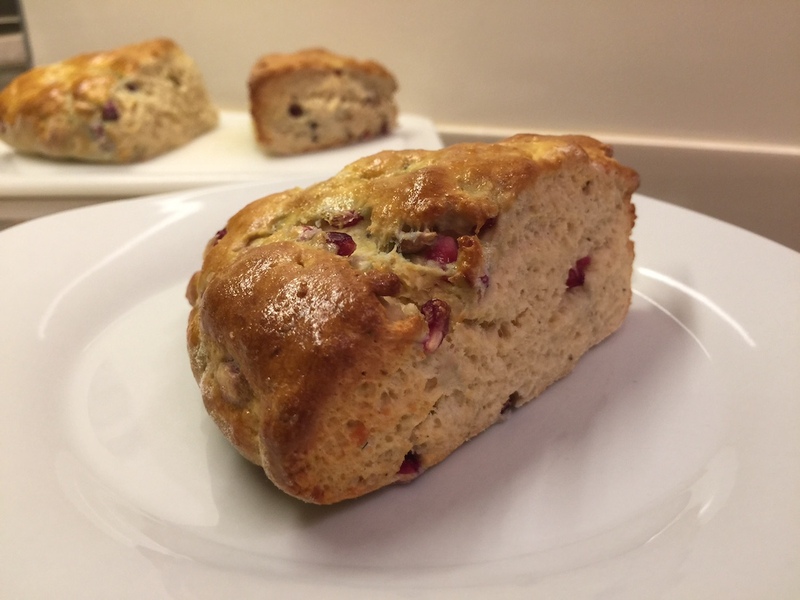 Now pomegranates are great in sweet dishes, but I’m trying to stay away from sugar this month. Luckily, they also go well paired with cheese for a more savory flavor. 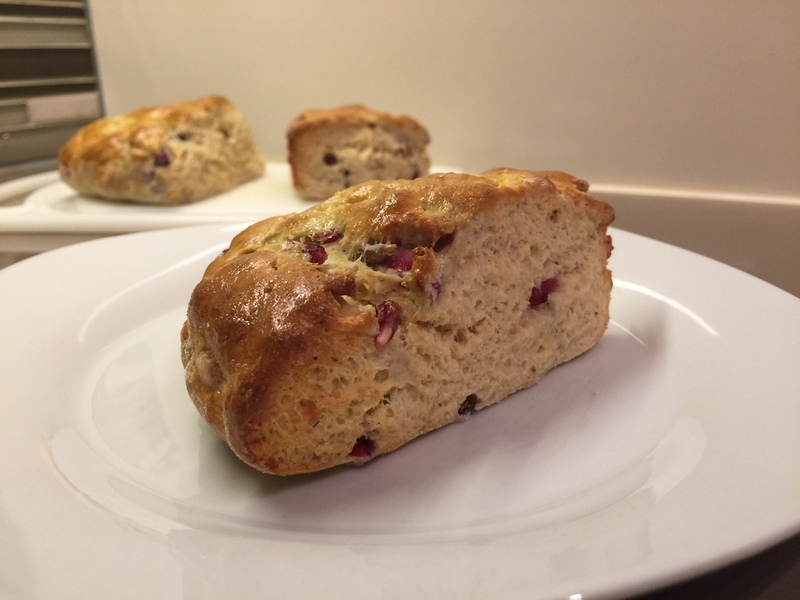 I actually really like pomegranate, arugula, and goat cheese sandwiches (be sure to check out my recipe for tips on removing the seeds of a pomegranate with ease). 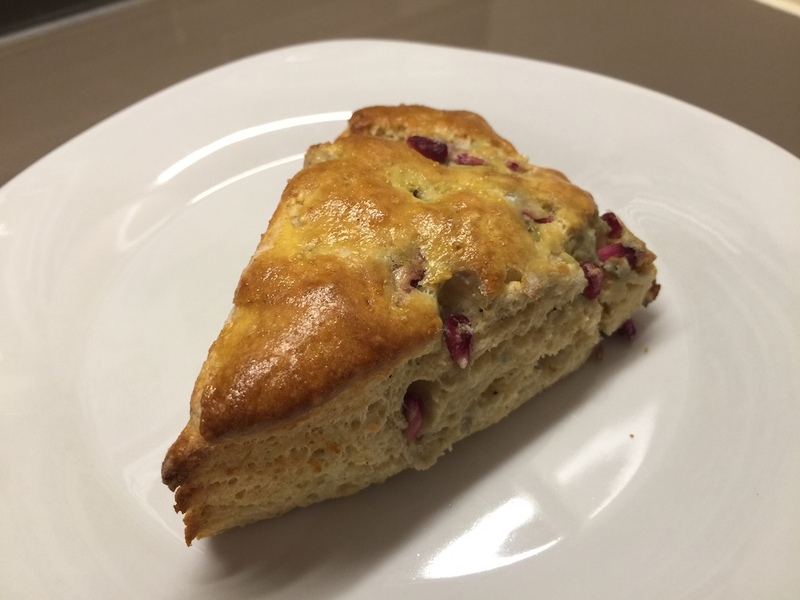 I wrote this recipe for pomegranate parmesan scones because, well, mostly because I saw pomegranates at the market, and had parmesan in the fridge. 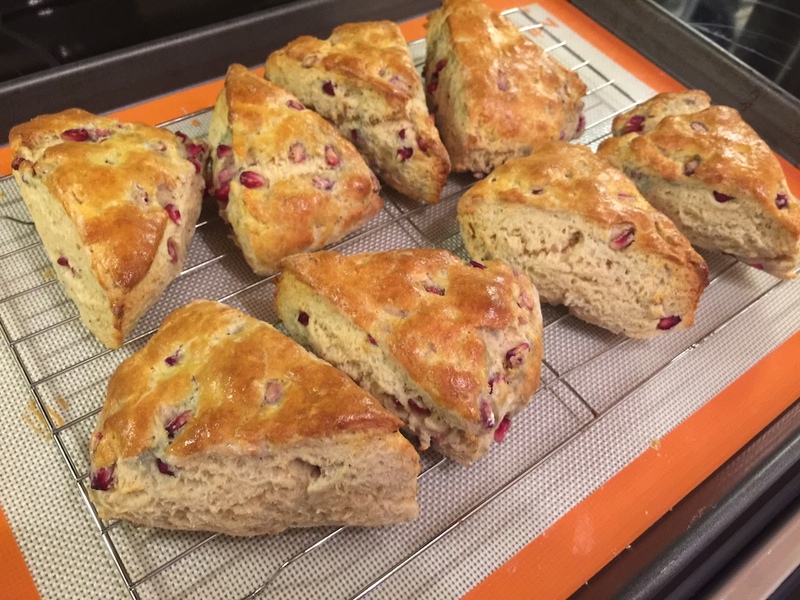 The scones are super flavorful, and have a great texture thanks to the pomegranates. 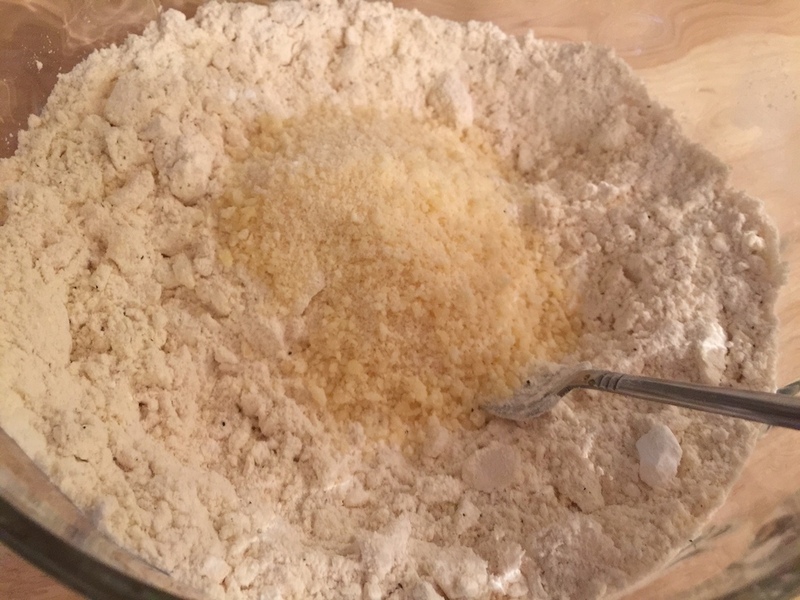 The arils lose a bit of their tartness when baked, so most of the flavor comes from the the parmesan, and black pepper in the dough. Really great to serve at a winter brunch. 2. Cut in shortening until you have pea sized pieces, then stir in parmesan. 3. Whisk 1 egg into 3/4 of a cup of buttermilk. 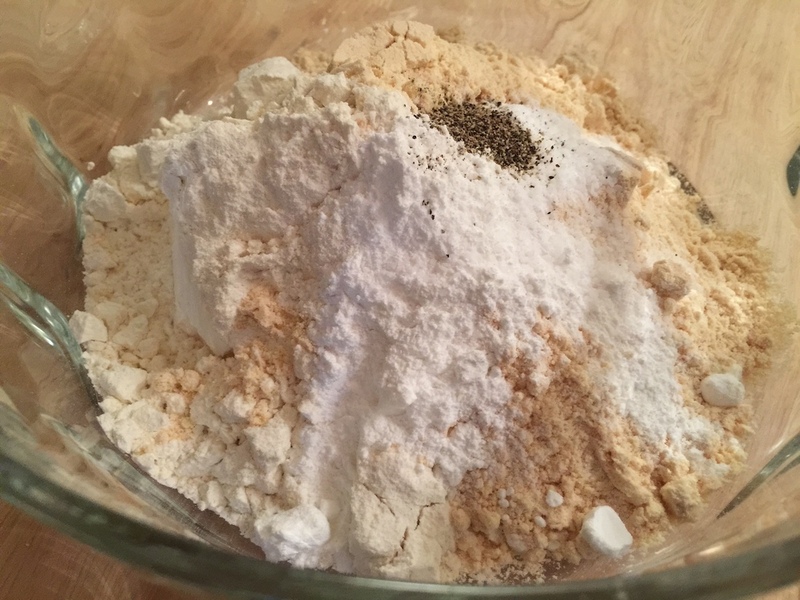 Slowly mix liquid into dry ingredients, adding a little extra buttermilk if needed. 4. 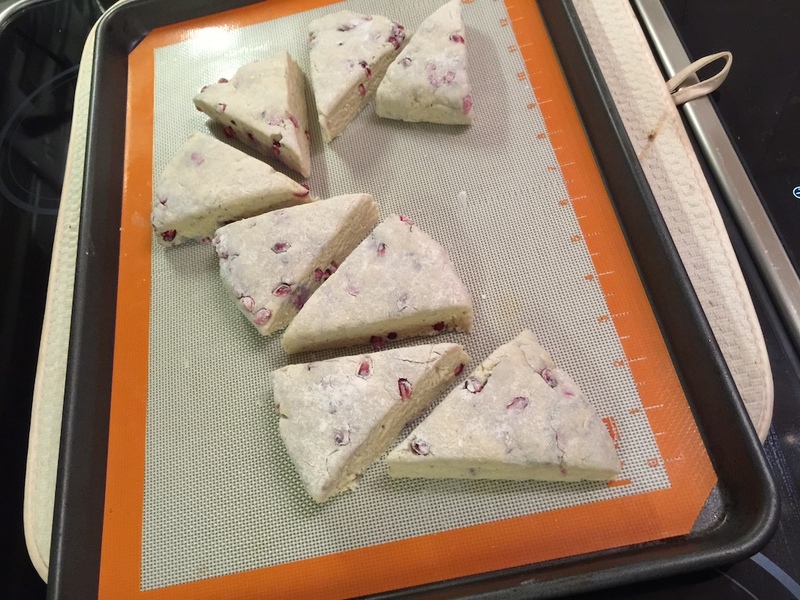 Rinse pomegranate seeds, then add them to biscuit dough when it’s nearly combined. You don’t want to add them early, or the arils will burst. 5. 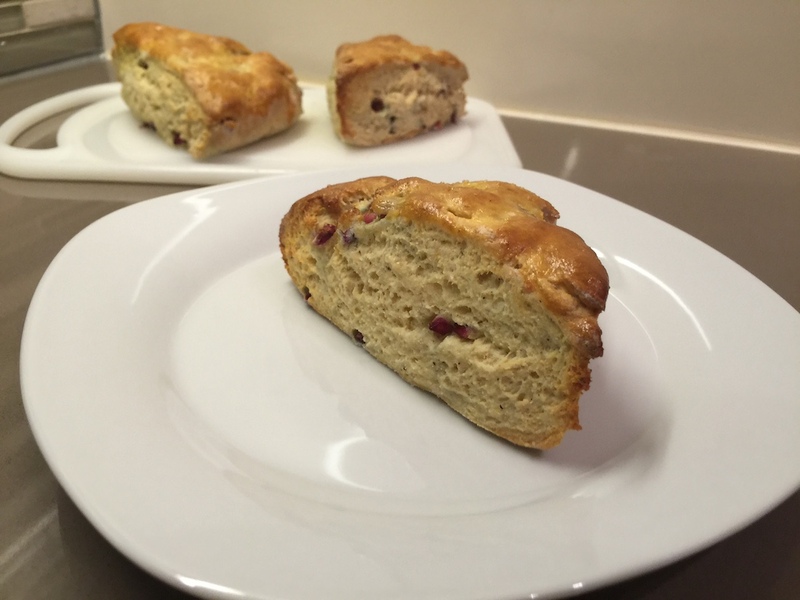 Press dough out into a flat disc on a floured surface, then cut into 8 similarly sized scones. Placed on a cookie sheet, then brush with egg bath (the yolk of an egg and warm water). 6. 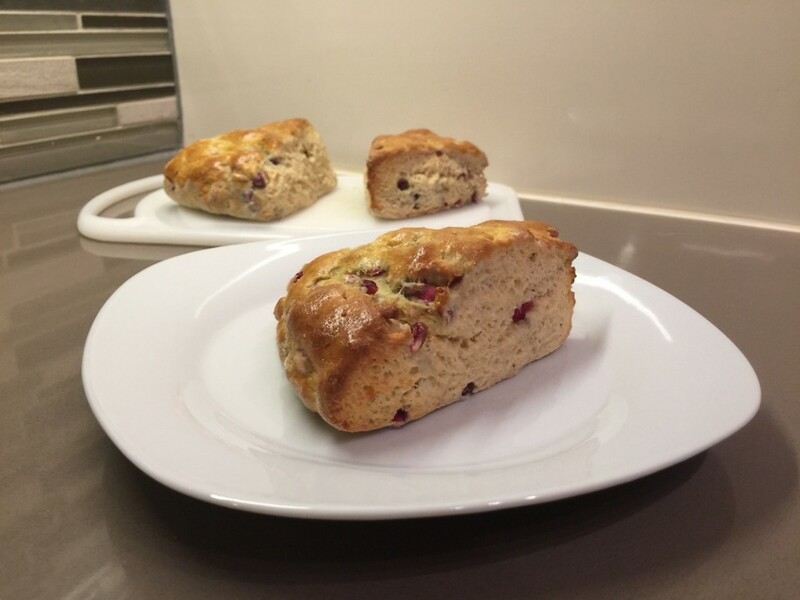 Bake at 450 degrees fahrenheit (425 convection) for 12 to 15 minutes. Let cool on a rack for at least 15 minutes before eating as they’ll continue to cook.